By Monday morning at 8am I am sure that all the golfing public is aware of the now 17th person, and second youngest golfer to become the world #1… Rory McIlroy. Did Rory become the world number one by beating the best in golf? Yes. Did Tiger Woods show up and try to tell the new #1 hey kid ‘Im still the best? Yes he did. Now don’t get me wrong, I do not want to muck up Rory becoming the world #1, with an article about Tiger Woods. However, the only real roars coming from other players in the Honda were those of Tiger Woods. Tiger shoots his lowest Sunday Round ever on the PGA Tour (a rocking 62) with an eagle on 18 to get him to within two shots of the lead. How does Rory respond to the loudest roar of the day (besides his last putt on 18 when he became the world #1)? He birdies the 13th, then follows that up with 5 pars coming in. Rory hit a few missed shots coming down the stretch on Sunday, especially in the Bear Trap, but he scrambled and his putter was on fire. He played smart, he played well, and more importantly he got the job done. With the #1 player in the world on the line Rory answered the call that Tiger Woods put up. 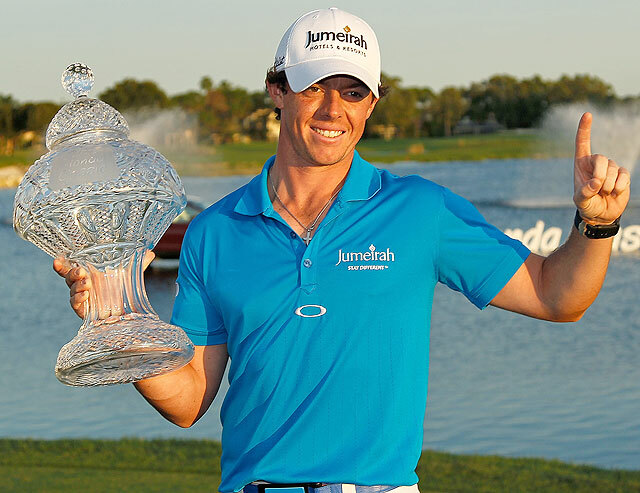 Congradulations Rory, I look forward to watching you be the dominant player in the world for the next 10-15 years. What else happened on Sunday? Well, Lee Westwood the world #2 shot a Sunday round 63, to finish in 4th place and put a little pressure on Rory. But my favorite story from Sunday is from Journeymen Tom Gillis. The bookmakers in Vegas would have given Tom something in the 50-1 odds of winning. He did not win, but he played great Sunday golf. Up against the new world #1, with most of the world golf stage watching Rory McIlroy, Tom Gillis played great, missed a few putts (he could have made a few and really given Rory a run for the money), but all in all really played well. He birdied 18 with a 20+ footer to get himself in a tie for 2nd with Tiger Woods. The difference in money? 2nd place is 617,000 and 3rd is 387,000. So with the birdie on 18 Tom gets his highest finish of his career and an extra 115,000 added to his check. While I am excited for Rory to be the new world #1, its nice to see the every man get out there and make some money on the PGA Tour. Next 2000 Visits in just over 64 days! 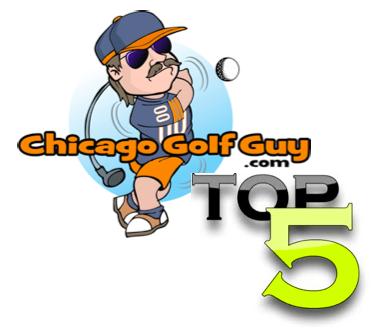 Thank you to the Chicago Golfing Public.